That's why Tolin Mechanical provides mission critical HVAC services to commercial data centers throughout Colorado, Arizona, and Washington D.C. Many regions in our service area have invested heavily in the infrastructure needed to lure new data center builds and expansions. Our goal is to ensure these locations stay up and running consistently, at their highest level of performance and efficiency. Downtime is simply not an option for data centers, considering the interconnected digital business environment we work in today. In fact, downtime can be more than just annoying. It can be incredibly costly: When the huge e-retailer, Amazon.com, went down for just 20 minutes in March 2016, it cost them an estimated $3.75 million. Of course, most companies aren’t quite at the Amazon level, but there’s still likely to be a significant cost if their data center goes down, between lost or corrupted data, lost sales and opportunities, and failed communications. If it happens more than once, the company's reputation can suffer. 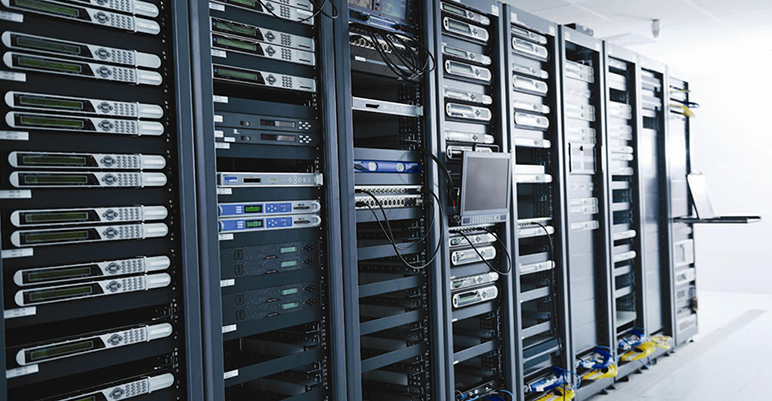 The HVAC system serving a data center is integral to keeping the servers and other equipment performing efficiently and avoiding damage. Temperature or humidity extremes caused by faulty HVAC can harm performance, or even cause tremendous damage to sensitive equipment. A large part of mission critical HVAC services is the highly specialized preventive maintenance program that’s required, including real-time monitoring and strategic replacement of system components, scheduled to require little if any downtime. Data centers need to be able to handle varying usage patterns, additional server load, and unexpected spikes by adapting flexibly to these circumstances. They are also continually growing, either within the current facility or via satellite locations. To support these needs, the server and networking technology employed at modern data centers must be continually monitored and upgraded to ensure their flexibility and scalability. The HVAC equipment that supports this equipment also needs to flexibly adapt to unexpected changes in usage or facility expansions. Mission critical HVAC services support scalable growth through equipment selection that’s customized for the needs of each unique data center. Additionally, the facility’s planned maintenance program is designed with an eye on flexible usage. If and when additional or upgraded equipment becomes necessary to help handle continued growth, the installation also falls under mission critical services. Incredibly, 7% of all the energy usage in the United States can be linked to data centers, and that figure is only going to rise. With that much energy being consumed, energy efficiency becomes an important concern, both from an environmental perspective, and as a cost control opportunity. Mission critical HVAC services can be expertly focused on energy efficiency, helping data center operators control costs, lessen the load on local utilities, and shrink the data center's environmental impact. All of this is accomplished through strategic installation, maintenance, and monitoring of HVAC equipment at the data center. If you're responsible for facility management at a data center in Colorado, Arizona, or Washington D.C., contact us to discuss how our mission critical HVAC services can benefit you, too.